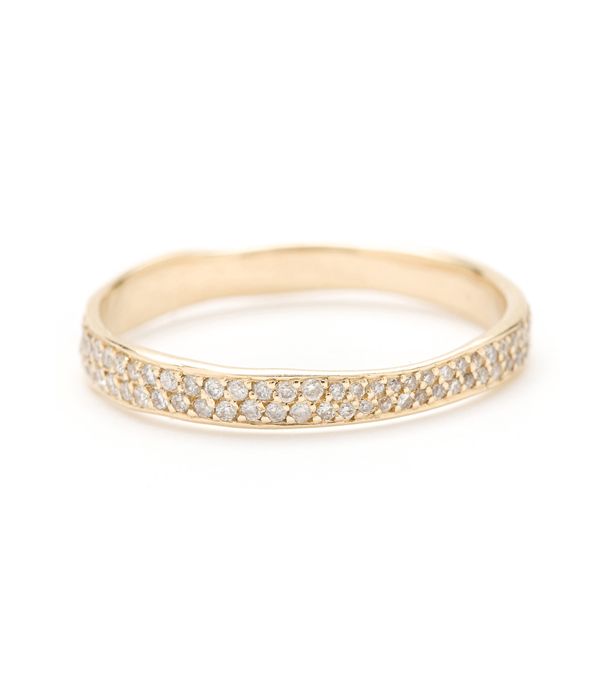 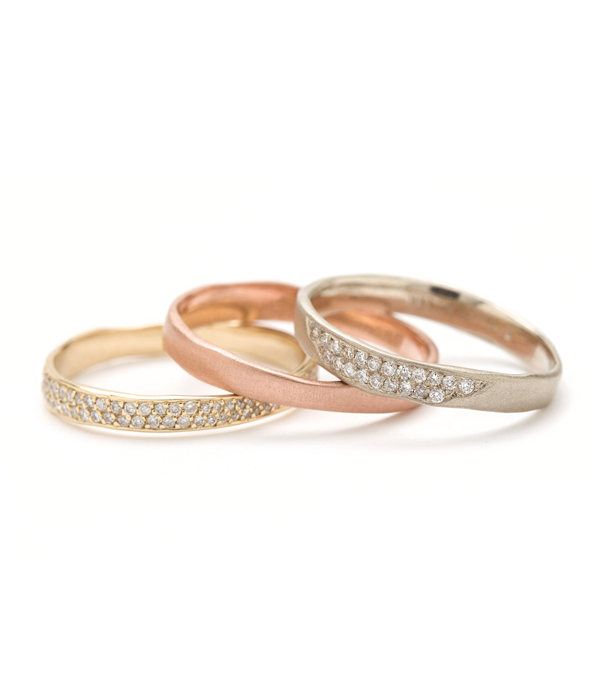 Like a torn paper edge from an old love note, this simple 14K gold stacking band exudes pure understated elegance. 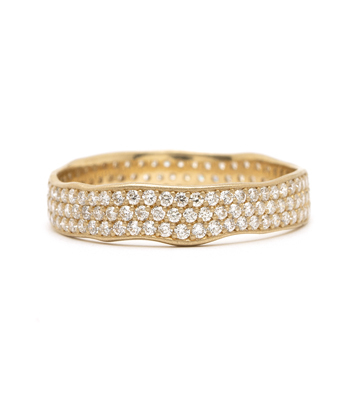 Two rows of pavé set diamonds (approximately 0.40 ctw) encircle this band for an effect that is nothing shy of fabulous! 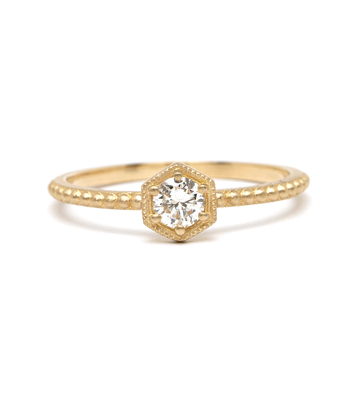 Piece is approx. 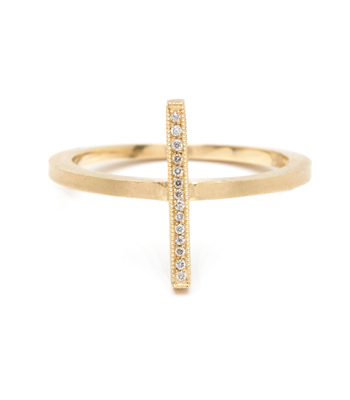 3mm in width. 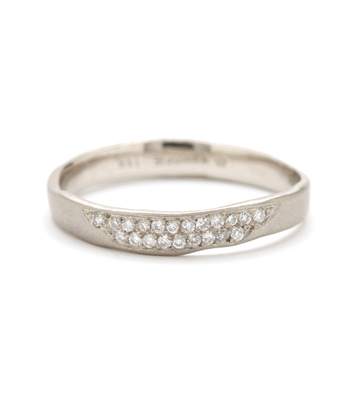 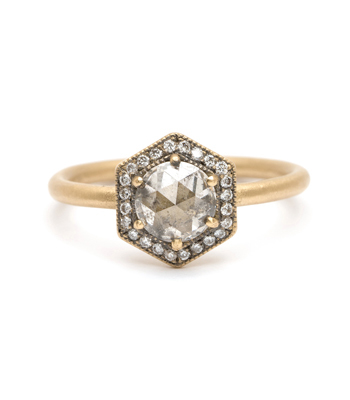 A perfect wedding band for the natural beauty bride. 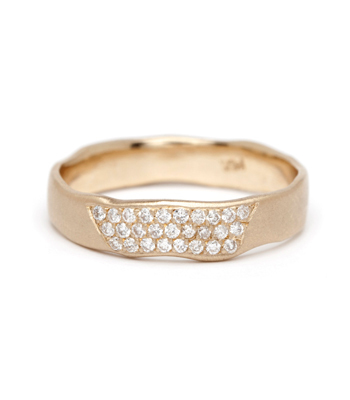 Also available with a single patch of pavé diamonds or 5 scattered diamond accents. 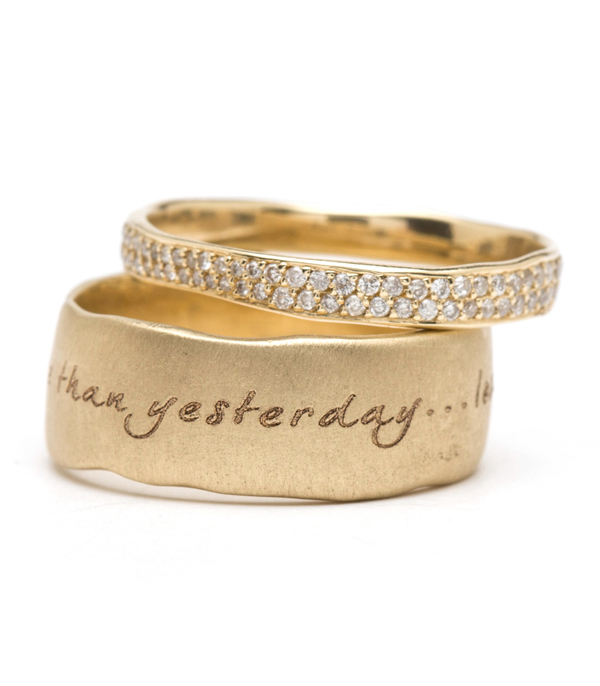 Categories: Eternity Bands, Natural Beauty, Rings, Stacking Bands, Stacking Rings, Torn Paper, Women's Wedding Bands.